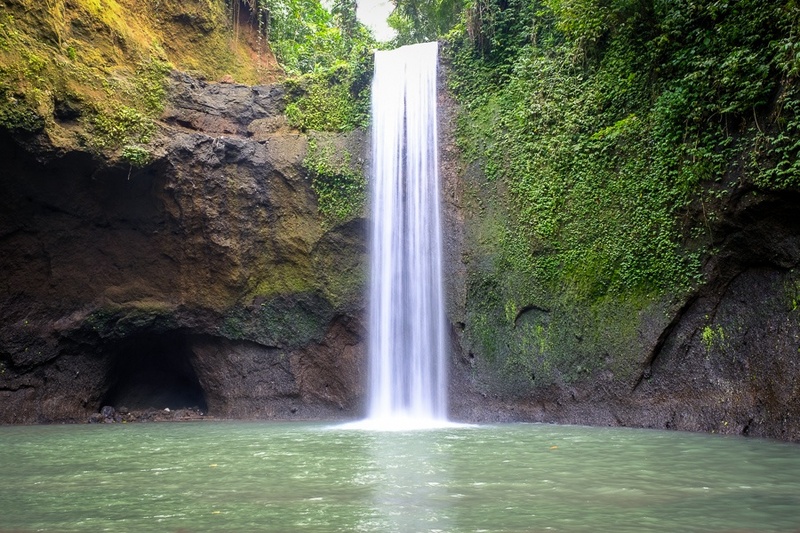 Tibumana is one of the nicer Bali waterfalls in the Ubud area, and it’s super easy to reach with a quick drive and a short walk. This used to be a hidden waterfall where you could escape the crowds, but thanks to Instagram it’s starting to get noticed and when I went during high season (August) there were probably 10-15 people at the falls. 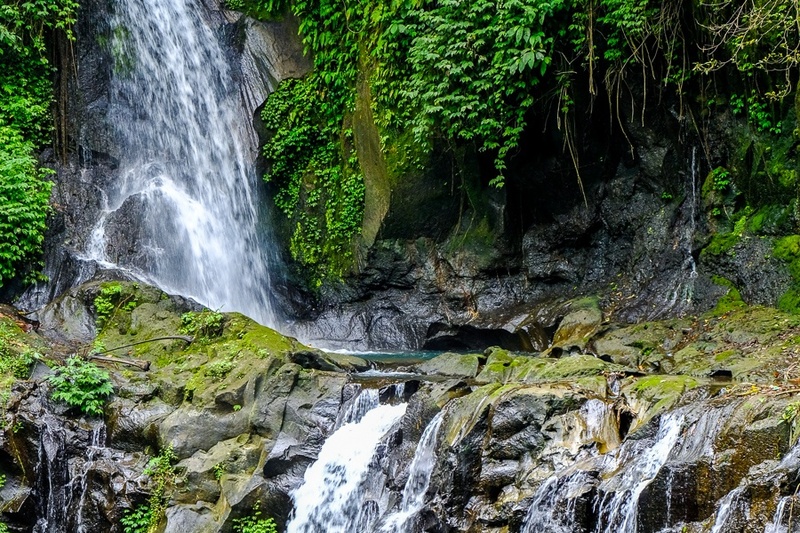 Still, this waterfall is much less crowded than the Tegenungan or Tukad Cepung waterfalls, and the jungle backdrop makes it look a bit like paradise. Pengibul is another waterfall on the same road as Tibumana, and the entrance for this one is literally just 500 meters from the entrance for Tibumana waterfall. You’ll see a sign for Pengibul on your right as you drive to Tibumana. This is a nice 2-step waterfall flowing over some rocks, so it’s definitely worth checking out while you’re at Tibumana. For Pengibul, there is no entry fee as of 2019. Two waterfalls for the price of one! 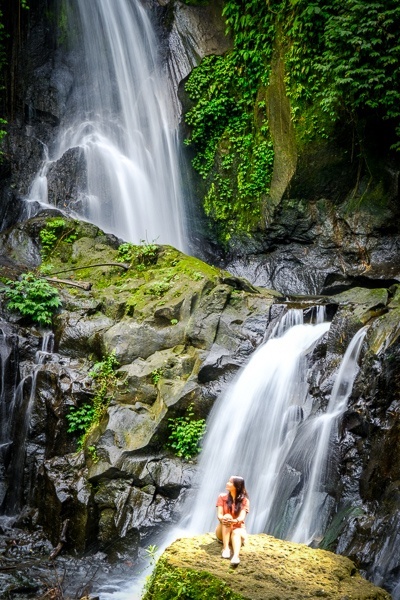 Tibumana waterfall is in central Bali, just a 30 minute drive from Ubud. The road to get here winds through some green rice fields and palm trees, so it’s a great scenic drive. The walk to the falls from the parking area is only about 10-15 minutes.